There was a time when a decent wristwatch was seen as a one-off buy, something to be worn day-in, day-out until either it or its owner expired. Indeed, collecting watches was something of a niche area until relatively recently and, certainly until 20 years ago, the idea of doing so as an investment as well as enjoyment was virtually unheard of. Partly thanks to the internet, interest in high-quality watches has spread throughout the world to the point where it is becoming the norm for even entry-level horophiles to either own a “watch wardrobe” or to aspire to put one together. 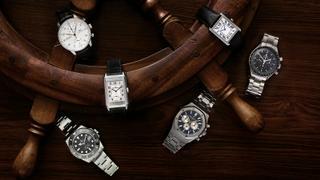 And, just as women should have at least one “little black dress” and men a bespoke suit or two, there are certain watches that no collection should be without. It’s unlikely that any two enthusiasts would select the same five key pieces; these are merely the selection I would love to see revealed every time I opened my personal watch box. Inevitably there must be a Rolex in there and the obvious choice would be the evergreen Submariner – the gold standard diving watch since its launch. Introduced at the Basel Watch Fair in 1954, right around the time that the perfection of scuba equipment led to the arrival of diving as a sport, the “Sub” remains the quintessential all-round diver’s watch and has been often copied, but never bettered. Launched in 1998, this is one of the most perfectly executed classics. Its name was inspired by two Portuguese jewellery importers who, in 1939, commissioned IWC to create a wristwatch with the accuracy of a marine chronometer. 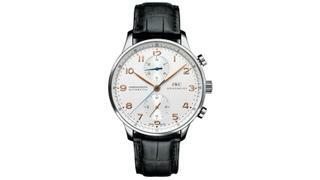 And what of a dress watch for those sophisticated, on-deck soirees? There are many out there, from Piaget’s record-breakingly thin creations to Chopard’s almost-as-slim Extra Plat and the achingly chic Pierre Arpels from Van Cleef & Arpels. 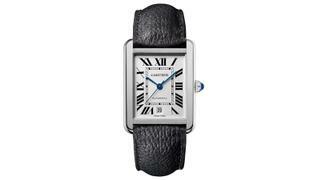 But to me, and many others, a dress watch should read “Cartier” on the dial, which is why no collection should be without a Cartier Tank. After seeing press photographs of the original British Mark tank at the end of 1916, Louis Cartier was inspired to create a watch case with sides longer than the dial to mimic tank tracks. The first Tank watch became available in 1919 – and the model evolved into an all-time classic. This year marks the 60th anniversary of not one but three Omega watch models that have gone down in horological history - the Railmaster, the Seamaster 300 and the Speedmaster. 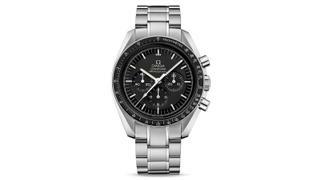 Omega has created limited edition runs of each, and the re-issues are identical to the originals. 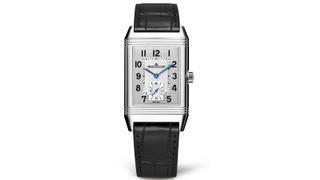 The Reverso dates back to 1931 when it was designed for polo players of the British Army based in India. Its brilliant, flip-over case was intended to protect the glass from damage – and is as practical today as it was 86 years ago. The original Royal Oak was created by designer Gerald Genta in a single overnight sketching session. 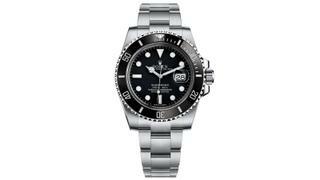 It went on sale in 1972 as the world’s first luxury sports watch made from steel, and many variations have evolved from that original. 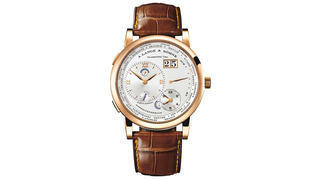 Global travellers ought to have a worldtimer watch in their collection. 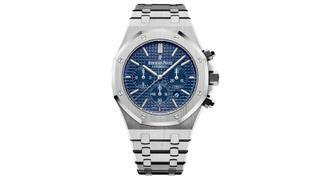 Patek Philippe’s World Time and the Rolex GMT-Master are blue-chip classics, while Vacheron Constantin’s latest Overseas World Time is covetable. But, for rarity, elegance, ease of use and functionality, the Lange 1 Time Zone from German maker A Lange & Söhne seems difficult to beat.